On August 14, 1981, Furry Lewis suffered severe burns in a fire at his duplex. He remained in the hospital, falling into a coma in September. After being in a coma for five days, he died of heart failure less than a week later at the City of Memphis Hospital. “Like a man in a blues song,” journalist William Thomas informed, “he was broke and his guitar was in the pawn shop” when he died. 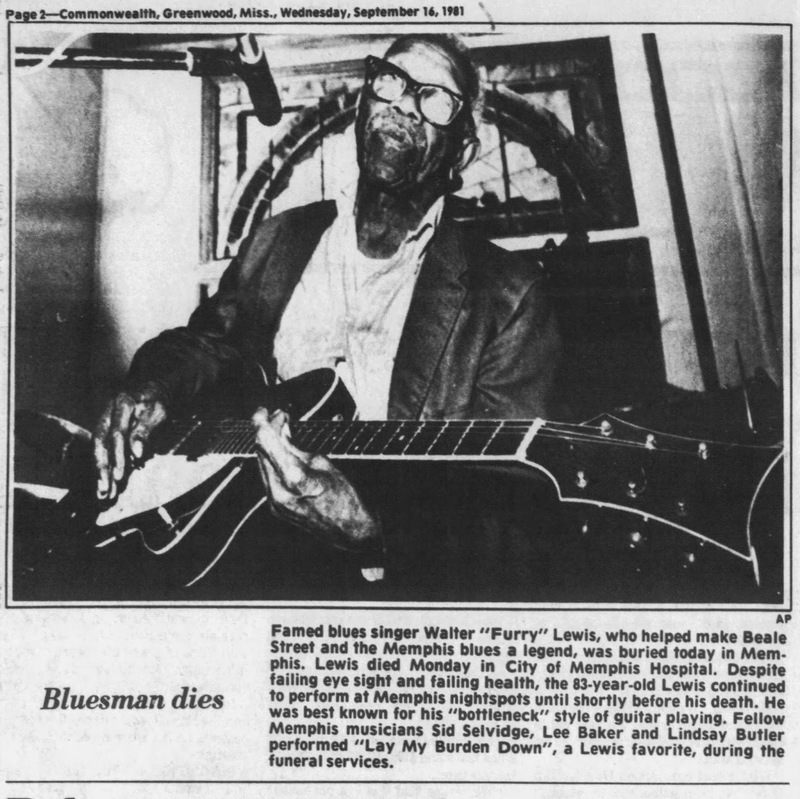 Walter 'Furry' Lewis, a wooden-legged Memphis street sweeper who helped keep country blues alive, went to his grave with a brand-new suit, a clean shirt and the tears of his mourners on his casket. 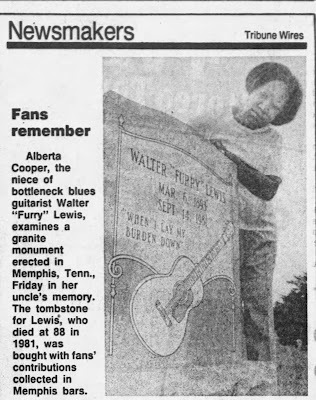 'He would have loved it,' said Harry Godwin, a blues historian and good friend of the 88-year-old bottleneck guitarist. Lewis, who once told an interviewer that 'You just live as long as you can and you die when you can't help it,' succumbed Monday to a heart attack as he was recovering from burns received in a fire at his ramshackle apartment. 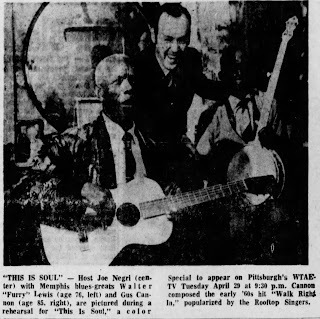 Those who knew him took turns speaking -- of his legendary generosity, the music he passed on to them, and his hard times. 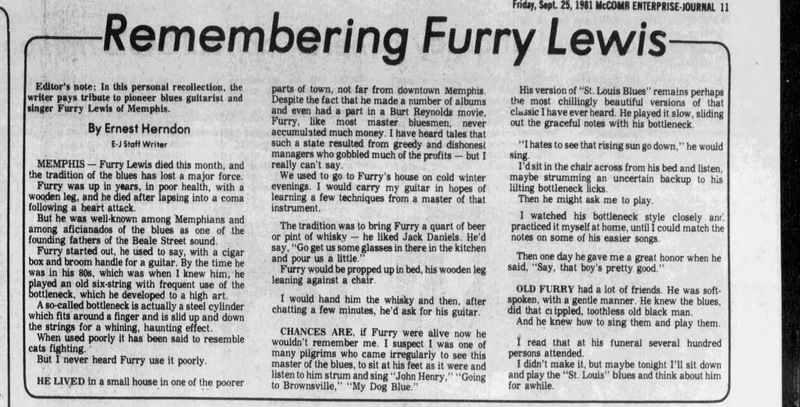 'Furry would give you his right eye if he thought it would make you see better,' said one woman. A young girl sprinkled rose petals on the casket. 'It was tough, it was hard, and that's what he sang about,' said a musician named Vic Conwill bitterly. 'He sang the blues, and he had every right to sing the blues. Exactly how Lewis had 'made it' was hard to understand. 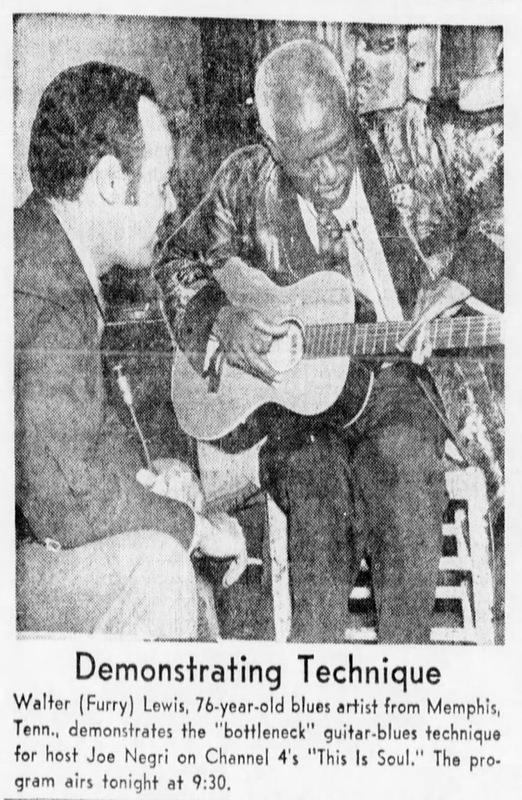 Toothless, in ill health, he often had to hock his guitar for food money. 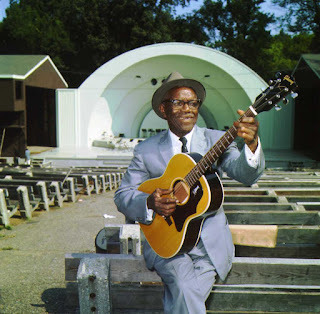 Born in Mississippi, he was the last surviving member of the great W.C. Handy's band. He played across the United States and Europe. He played himself in two movies, 'W.W. and the Dixie Dance Kings' with Burt Reynolds and 'This Is Elvis,' the semi-documentary on the rock 'n' roll legend. But he lived, and died, a poor man -- in part because when he had it, he spent it on his friends. 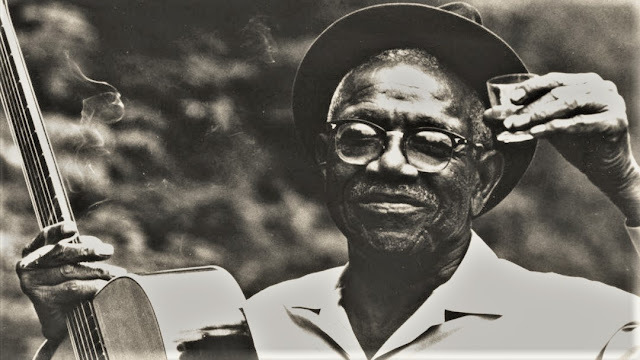 Arne Brogger, an agent, told of the time Lewis was on the road with the Memphis Blues Caravan, which included Bukka White and Sleepy John Estes, and the group stopped for lunch. 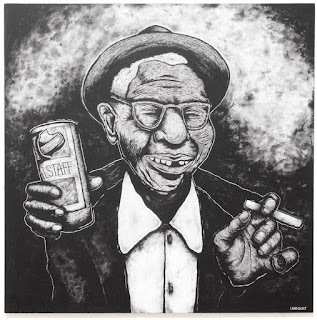 HE LIVED in a small house in one of the poorer parts of town, not far from downtown Memphis. 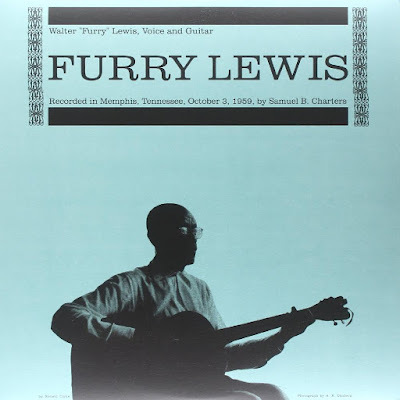 Despite the fact that he made a number of albums and even had a part in a Burt Reynolds movie, Furry, like most master bluesmen, never accumulated much money. I have heard tales that such a state resulted from greedy and dishonest managers who gobbled much of the profits — but I really can't say.